The first day of the NHL Free Agency period always coincides with the July 1st national holiday for Canadians, but all hockey fans across the world consider it one of the more important dates on the league's calendar. With player movement at levels that are often overwhelming, NHLPA.com breaks down the biggest moves that will shape the rosters for the 2010-11 season and beyond. Martin Biron kicked off the day's action by staying in the New York City area, moving from Long Island to Manhattan and trading the Islanders sweater for a ‘Blueshirt' with the Rangers. 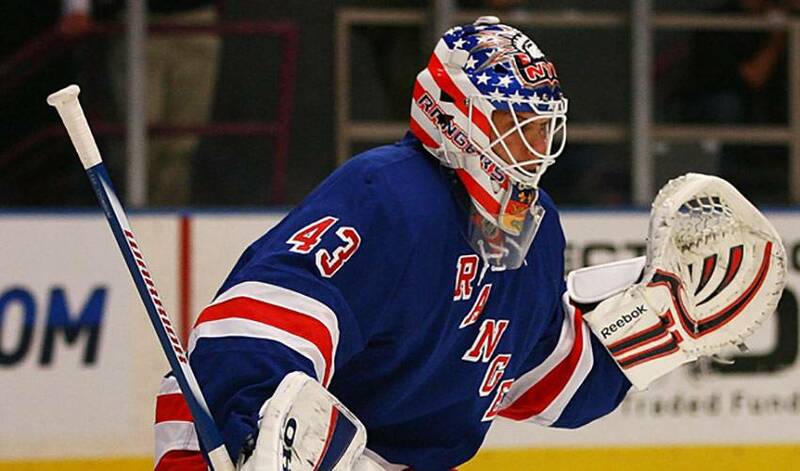 Martin will serve as a back-up for Henrik Lundqvist and will fill in when called upon by the Rangers coaching staff. Sergei Gonchar and Alex Tanguay closely followed Biron's signing, with both players signing new deals north of the border. Sergei leaves Pittsburgh for their opponent in last year's first-round of the playoffs, the Ottawa Senators, while Alex will be reunited with his former team in Calgary. Only days after trading for the rights to free-agent goalie Dan Ellis, the Montreal Canadiens went in a new direction on Thursday to fill their back-up goaltender spot, signing Alex Auld, formerly of Phoenix. Toronto then made their move on ex-Atlanta Thrasher Colby Armstrong, signing the fiery forward to a deal that will put him in a Leafs sweater for the next three years. Tampa Bay and San Jose were both active in acquiring goaltenders, with Antero Niittymaki leaving Tampa for San Jose after signing with the Sharks to help replace Evgeni Nabokov. With Niittymaki gone, the Lightning turned to former Nashville Predator Dan Ellis, who will occupy their crease for the next two seasons. Pittsburgh was eager to fill some spots on their blueline after seeing Gonchar sign in Ottawa and wasted little time, making two moves to solidify their back-end by acquiring Paul Martin and Zbynek Michalek. With these moves, the Penguins have added two defencemen who can provide strong play in both ends of the rink and still have many good years in front of them. Building off of last year's Cinderella run back to the postseason, the Phoenix Coyotes made a pair of moves that will help them as they look to maintain their position in the Western Conference. The team re-signed defenceman Derek Morris, who had come back to the team last spring in a deadline-day trade. The Coyotes also signed one of the more productive offensive players on the market today in Ray Whitney, a crafty winger who has shown over his career that he is capable of scoring on a consistent basis. One of the biggest prizes in the free agency chase was Nashville defenceman Dan Hamhuis, who had his negotiating rights traded twice since the end of last season. In the end, those proved to be unnecessary as the Vancouver Canucks snatched up the 29-year old, bringing him back to play in his home province of British Columbia. The signings and trades will continue to roll-in as we progress forward over the next few days and weeks as teams look to solidify their rosters prior to the end of the summer. As always though, July 1st has proved to be a crucial day for both the players on the market and the clubs eager to sign them. For now, the phones keep ringing, the text messages keep flying and the ‘tweets' are endless as the free-agent frenzy rolls on.